This psychological thriller focuses on Daniel and Laura's adventure of a lifetime that totally and completely goes wrong. While traveling through Romania, they fall asleep on the train. Thrown from the train in the middle of the night, in the middle of nowhere, without money or passports begins a story that starts haunting them - before it follows them home. Walking in the woods that night starts a series of unimaginable horrors, which are only revealed bit by bit. Daniel and Laura finally return home, vowing not to speak of what happened to anyone, not even among themselves. But when evil follows you home, it is playing for keeps. The trauma rips them apart, Daniel finding consolation in oblivion and the bottle and Laura in the apartment of friends. Both are haunted, in different ways, from the horrors in the woods. Daniel confides in a therapist, or at least tries to, and she ends up dead. Anyone who gets too close to them gets hurt. One of the creepiest books I have read in a long time. If you liked "The Girl With a Dragon Tattoo" then you'll like this book. Very well written with a plot within a plot within a plot. For adult readers only - includes explicit sexual content and language. "I knew, with every instinct, every scrap of learned and inherited knowledge, that this was a bad place. That we needed to turn around, right now, and get away." 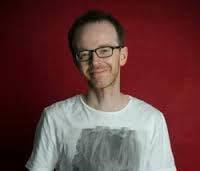 Mark Edwards writes psychological thrillers in which scary things happen to ordinary people and is inspired by writers such as Stephen King, Ira Levin, Ruth Rendell and Linwood Barclay. Mark grew up on the south coast of England and started writing in his twenties, teaming up with Louise Voss to co-write Killing Cupid and Catch Your Death, which topped the UK bestseller chart in 2011. His solo thrillers, The Magpies and Because She Loves Me were also #1 bestsellers in the UK. 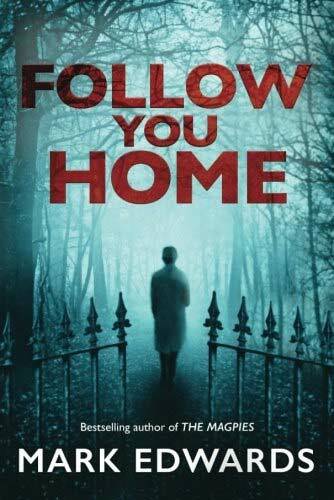 Like these previous novels, his fourth solo book, Follow You Home, was inspired by a real-life experience, in this case a 'trip from hell' around Europe. He lives in the West Midlands, England, with his wife, their three children and a ginger cat. Mark loves connecting with readers and always responds via email, twitter or his facebook page.